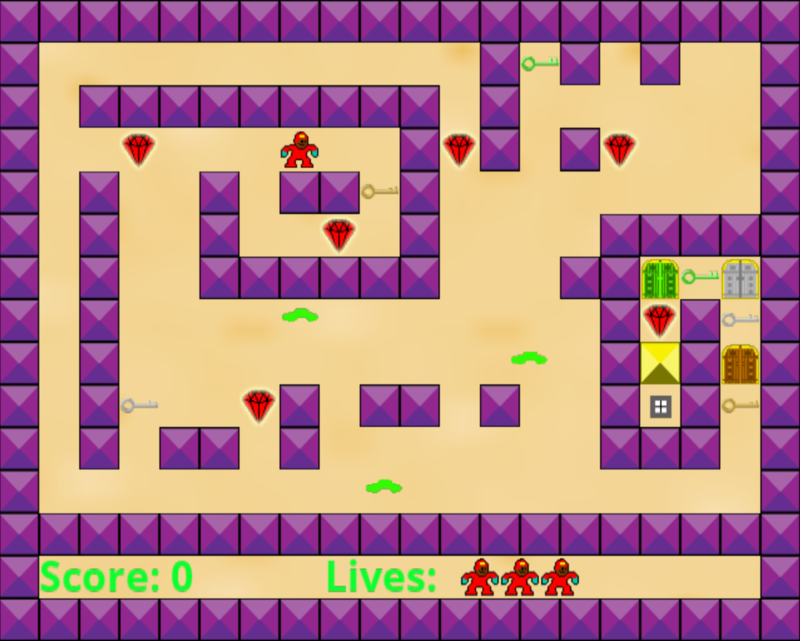 Maze Time is a new 2D Action maze game developed by X35 Earthwalker, the legendary soldier Himself, the world’s greatest strategist. Maze Time is coming out real soon on PC for now. More platforms are coming in the future. This game is said to bring a simple but fun experience. Let’s take a look. The story in Maze Time is very mysterious indeed. The player finds himself in the ‘World of maze’ or so it’s called. A voice greets you and gives advice and instructions. Is this voice friendly or not? Who knows? 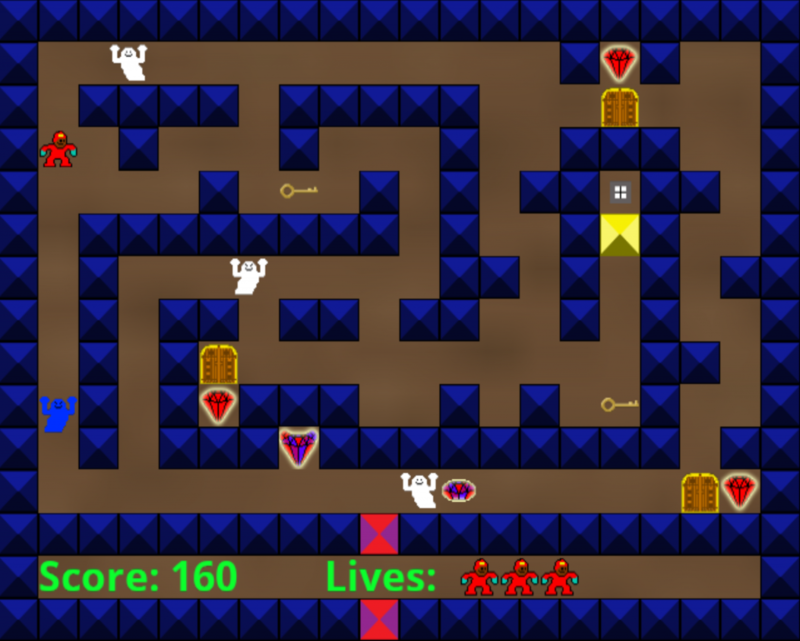 The rules are simple, just collect all the red gems in the maze and go through the exit. Simple right? It’s not… These mazes are filled with many traps and monsters. These traps are simple to understand and at times aren’t much of a threat but everything sort of works together to mess with the player. For example the arrow boxes launch arrows in a certain direction. Not all arrow boxes function the same way and not all are triggered the same way. There are more which range from very simple to sort of puzzle level. When combined together with other game elements, players will find themselves falling for the easiest things. 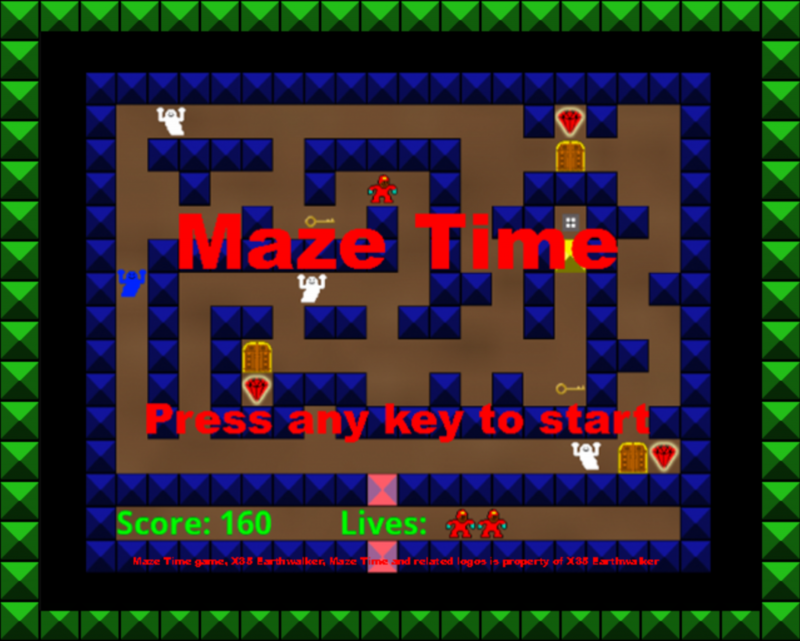 The enemies in Maze Time within the mazes are the main threat and they come in variety. some enemies have simple movement patterns like right and left only. Then there are those who can only move up and down. They sound simple and truly are simple but remember it’s when things combine, that’s where the mind gets tricked. There are enemies who change direction when they hit a solid object. There are others who can change their movement direction at any time. There are those who can pass through certain objects. Worst of all probably are the ones who can move in 360 degrees direction. When you combine all of these together players tend to forget about the simple ones who only move up, down, left, right. There are many enemies (who’s names won’t be revealed yet off course) and trust us when we say, each player will have that one monsters that makes you hate everything about everything and blame everything on, even though it’s probably your fault. Each level has a very different design and may have more emphasis on a certain aspect of the game. Some levels are puzzle based as in the player needs to have a think first before acting. One level specifically is all about making the player think fast and stay focused even under pressure. it will catch you off guard whether you like it or not. Players will get some dialogue during the ‘Path’ levels which serve as a connector between two different areas. It’s the chance to take a quick break and calm down for a bit. The level called ‘Tough Times huh’ is very difficult as things can go wrong in so many ways. A certain monster might chase you down, or you fall into a hole in the ground, or get hit by an arrow, trapped in a corner or get jumped on. The possibilities are endless (not really). So one good advice for all gamers taking on Maze Time is this ‘Sometimes it’s best to just observe the maze first. Rushing may not be the answer. Items are in abundance. Off course there are the red gems which must be collected to get to the next maze. There are keys which are needed to unlock doors. Rare gems which grant extra points. Bonus gate gems which unlock bonus areas in mazes. Even power ups like Nuclear power can be found which grants the ability to destroy whatever enemy comes into contact with you. Expect objects like detonators which must be hit to detonate explosives which can be used in two different ways. There are more but that’s for the players to discover for themselves in Maze Time. Maze Time is for everyone. The controls are as simple as it gets. Just use the left, right, up and down keys to move your character. That’s all. Space bar is only for text boxes and the ‘R’ key is only to reset the maze in specific levels. So adults, children, youths, parents and even your grand parents can play this game. Playing Maze Time and beating Maze Time are two different things. Casual gamers will get fun out of dodging enemies passing levels and getting slightly frustrated from losing but getting a high score. Serious gamers (and those who need to calm down) will struggle and struggles as they try to beat the game. They will fail… again… and again. Make it real far only to lose your last life to that stupid ghost monster who just had to be there didn’t he. Just please don’t go throwing your controllers (as it costs money). Don’t rage quit, just get good. You can do it! Off course the score is everything here. Beating the game means you are a champion but only the best go for that high score. There are many opportunities and ways to get points that no one will get the same score the same way. You get 40 points for just getting through a maze. Collecting a rare gem grants you 80 points. Even destroying an enemy with the power of the Nuclear power power up will grant extra points too. If getting that high score is truly what you desire then make sure to take on and practice the bonus levels. Some levels have bonus areas. They are a part of the maze but sealed away by a bonus maze door. Grab the bonus gate gem to unlock it and head on through. Be warned… bonus areas tend to to rage from medium to hard difficulty. not everyone has what it takes. The danger is high but the rewards are great. When you get that high score make sure to take a picture of it with your phone or print screen for bragging rights. Yes, X35 Earthwalker himself has completed the game and it is possible to complete it. Also X35 Earthwalker himself has confirmed that there is much to come regarding Maze Time and players should be very expectant for the future. Overall Maze Time has a lot to offer. Many enemies, different traps, many levels, variety of design, simple controls but difficult to beat. A mysterious story and more. The developer ‘X35 Earthwalker’ did a fantastic job with this game (probably the greatest ever. Not biased at all). We seriously hope that you are looking forward to this game. It is a lot of fun.